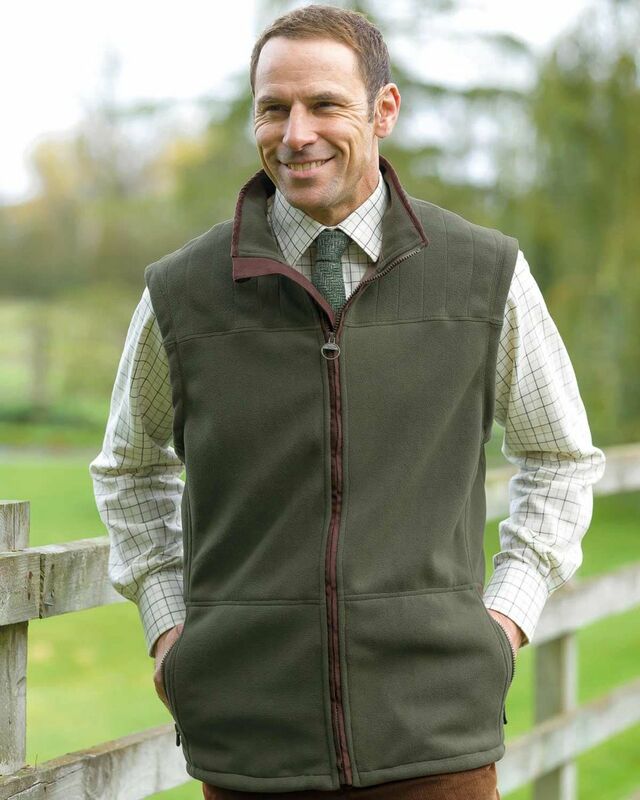 Mens Portree Gilet in olive. 100% Polyester. Machine Washable. Zip front fleece gilet with faux leather pipe trim and stitched pattern across shoulders. Zip side pockets and contrast inner fleece lining. Concealed side draw cords for adjustable fit.